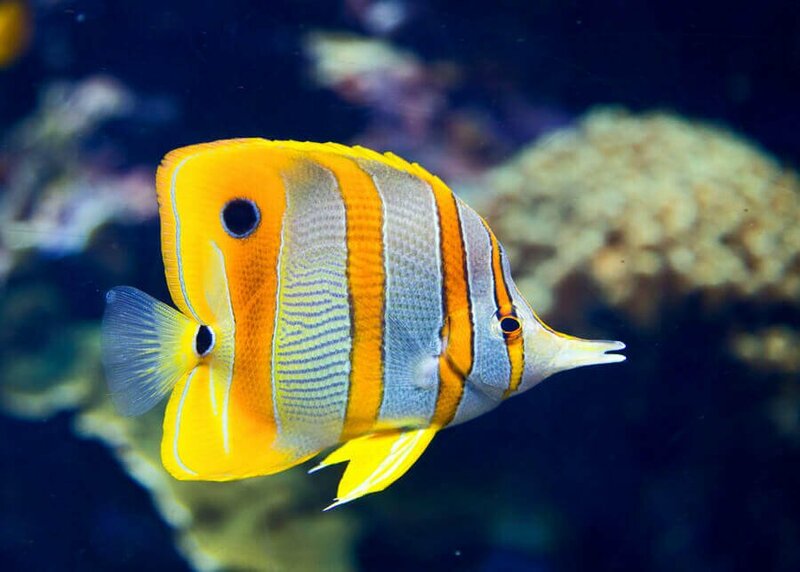 Most aquarium fish today are commercially bred. Not only does this save time and cost, but it also leaves the natural habitat undisturbed. Further advantages are hardier fish, and higher availability. 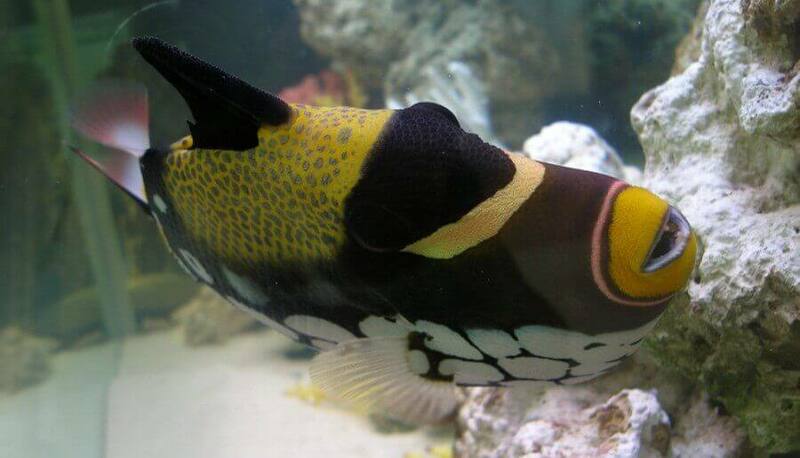 Breeding Fish in captivity has opened the hobby in a broad range. The fish listed below only represents an overview of some of the more popular species. It is by no means all inclusive. Since the instincts of the fish are inherited it does not make a difference if they were bred in captivity or in nature. However there are significant differences between available fish. 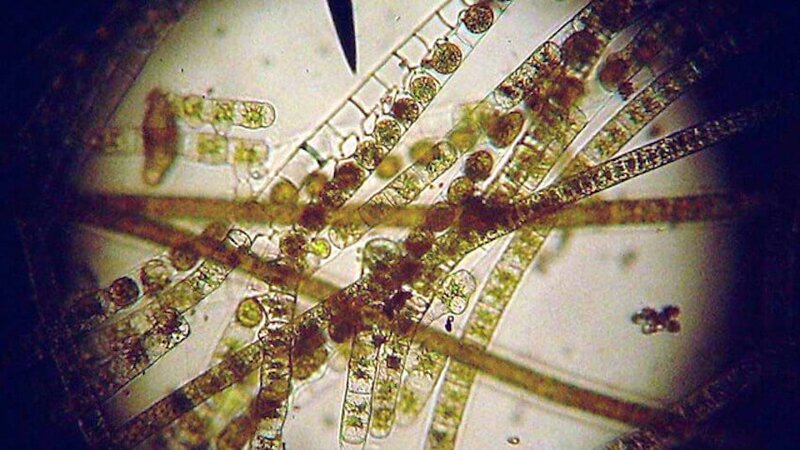 The conditions under which they are bred has a big impact on the health of the fish. You should therefore only buy fish from a reputable seller. 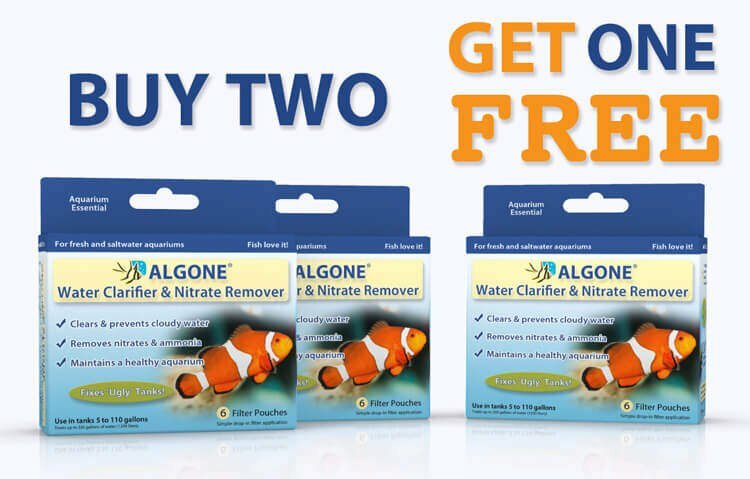 This can help prevent the introduction of disease to your aquarium or a fish that is likely to die soon after you purchased it due to a weak immune system. To create a suitable habitat, it is important to know the fishes’ name and origin. A catfish for example can be found all over the world in fresh and saltwater counting more than 2000 different species. Also, there are African, South American, and Asian Cichlids. 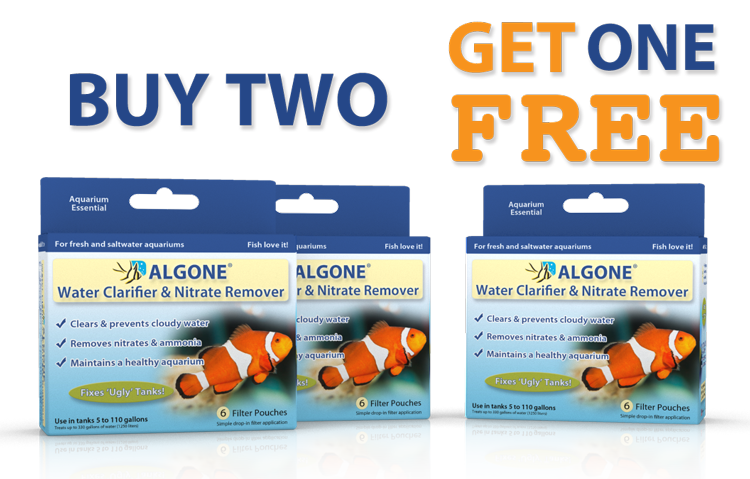 They all come from different environments and they all require specific conditions to do well in the aquarium. Africa has a large river system with numerous species. Slow moving sections are home to the African Tetras. This set up requires a pH of 6.9 – 7.2 and a temperature of 75 – 80 F (24 – 27 C). The substrate should consist of sand or fine gravel with plenty of wood and plants for hiding. Lighting is moderate, with a filtration creating a slow current. 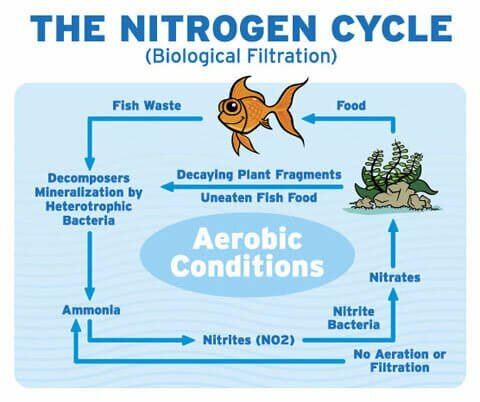 Fast moving sections of this system are the home of African Catfish and Dwarf Cichlids, which prefer a pH of 7.0 – 7.5 and a temperature of 77 – 81 F (25 – 27 C). This set up requires plenty of open space and a highly aerated environment. Some large rocks no plants and fine gravel or sand will complete this aquarium. 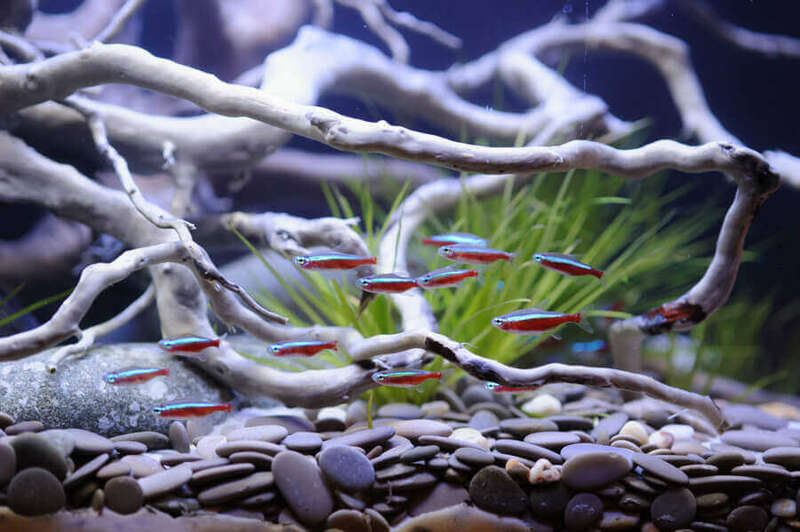 Danios, Barbs and Loaches call the Southeast Asian River home. The set up should be heavily planted. Fine gravel or sand is the ideal choices for the substrate. Preferred parameters are a pH of 6.0 – 6.5 and a temperature of 79 – 84 F (26 – 28 C). Plants should have proper lighting and no current from the filtration system is necessary. Indian rivers are home to Danios, Spiny Eels, Loaches and Gouramis. Along with a pH of 7.0 – 7.7 and a temperature of 70 – 75 (21 – 24 C) the set up needs bright lighting, fine gravel or sand substrate. Further, the tank should be heavily planted. The Australian rainforest in most parts consist of creeks. Favorable temperatures range from 75 – 85 F (24 – 30 C) at a pH of 7.0 – 7.5. Scattered rocks, a sand substrate and a current provided by the filter system give this environment natural feel. Bright lighting and crystal clear water completes this set-up. 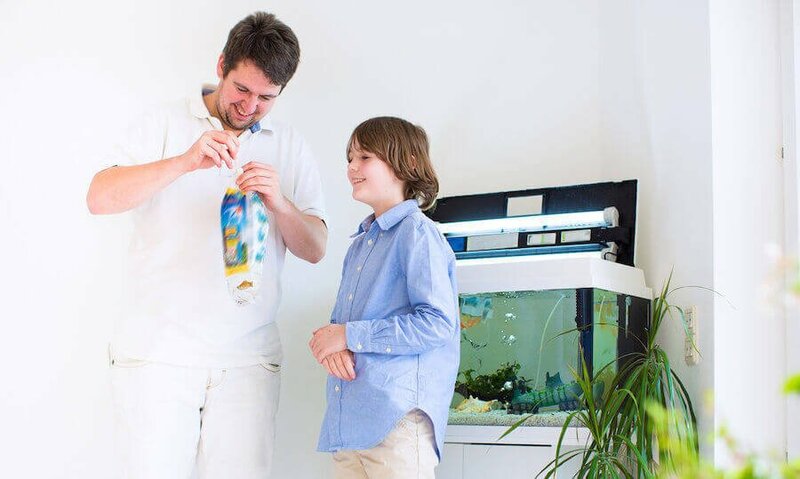 The Australian river houses Gobies, Rainbowfish and Australian Arowanas among others. The South American rivers can be divided into whitewater and clearwater rivers. The Amazon might be the best known whitewater river. 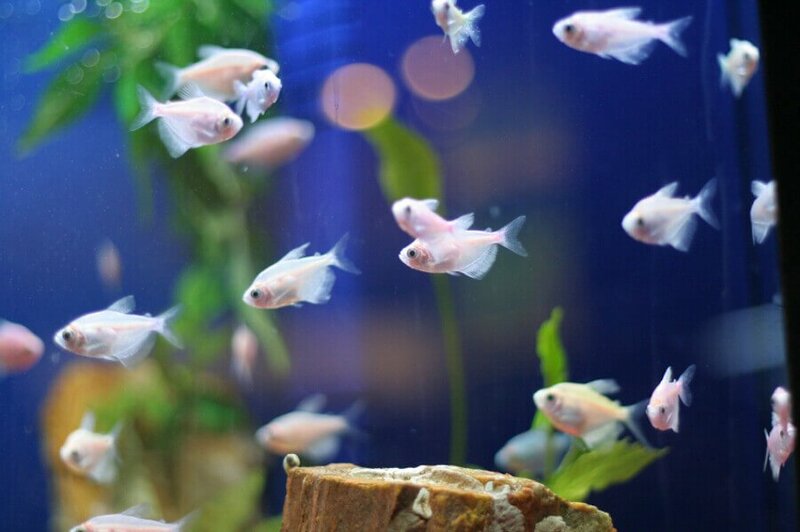 Fish suited for aquariums can be found in the slow moving parts namely Piranhas, Oscars, Angelfish, and Hatchetfish. Open spaces and driftwood with a clay substrate are well suited. The pH should range between 6.8 – 7.1 and the temperature 79 – 84 F (26 – 29 C). Rivers and creeks originating from the rainforest are darker in color due to rotting woods. Discus and Dwarf Cichlids can be found in this environment. An aquarium set up would correspond with driftwood dark gravel and a peat filtration. Due to the leeching compounds of the woods and decaying organic plant material the pH comes in low at 4.5 – 6.5 with a temperature of 81 – 86 F (27 – 30 C). The rivers of Central America are home to the more peaceful Cichlid species of the Americas as well as Livebearers. The set-up includes driftwood and rocks with a fine gravel or sand. PH ranging from 7.0 – 7.8 at a temperature of 72 – 79 F (22 – 26 C). The tank should be well lit with a medium current provided by the filters. For Livebearers plants can be added. 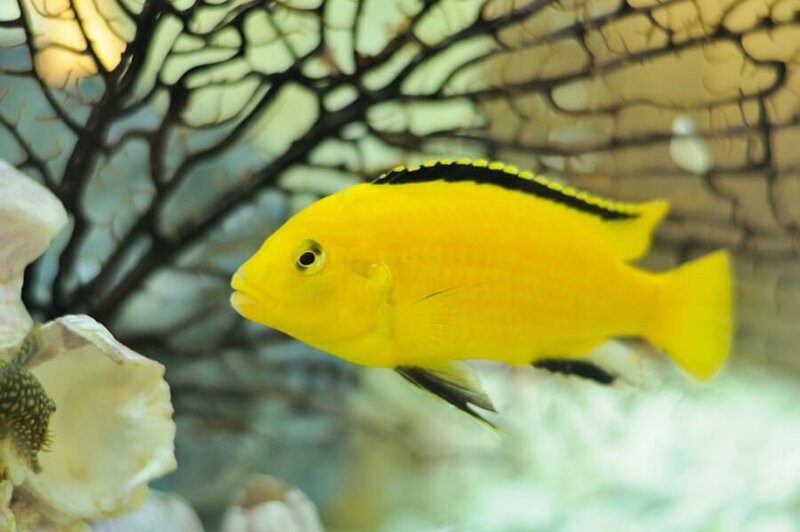 Home of the more aggressive Cichlids of the Americas preferring a pH 7.5 – 8.2 and a temperature of 75 – 81 F (24 – 27 C). Provided with little water current the environment consists with rocks and gravel but no plants. 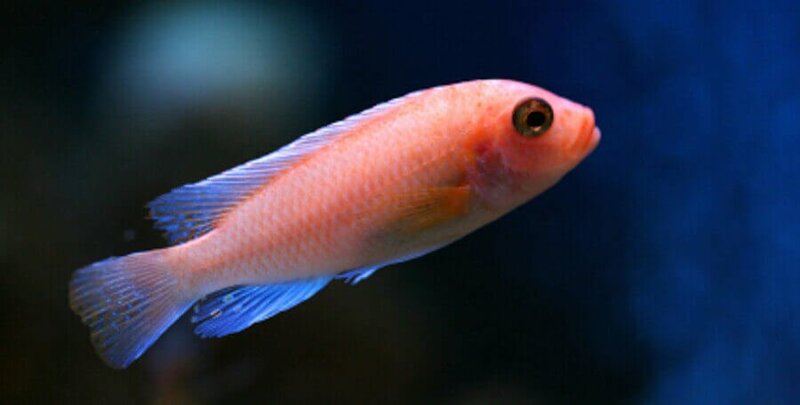 Lakes Malawi, Victoria and Tanganyika are well known for Cichlids often simply referred to as ‘Africans’. The set up requires lots of rocks and a gravel substrate. Some species from Lake Tanganyika prefer a sand substrate or a combination of rocks and sand substrate with some snail shells. The set up needs little water current and is usually free of plants. Proper pH range is 7.8 – 9.0 at a temperature of 75 – 82 F (24 – 28 C). The mangrove forest or swamp describes an area close by an ocean. The conditions found here are also known as brackish. As there are not many plants that can take salt, the set up is therefore basically coral sand and driftwood. This set up should have a very good filtration system, a pH ranging from 7.2 – 8.0 and temperatures ranging from 75 – 82 F (24 – 28 C). A specific gravity of 1.006 – 1.015 is also required. 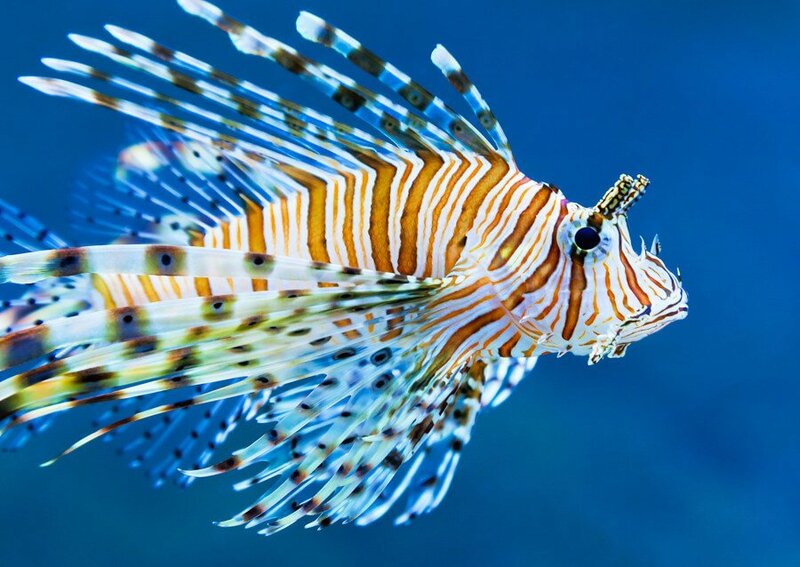 Fish living in brackish conditions are the Puffer, Scats, and Tiger Fish.